Have you ever stopped to work out which part of your business is bringing in the money? Your business could be broken up into departments, across states or in different properties. You need to know where a majority of your business income is coming from. 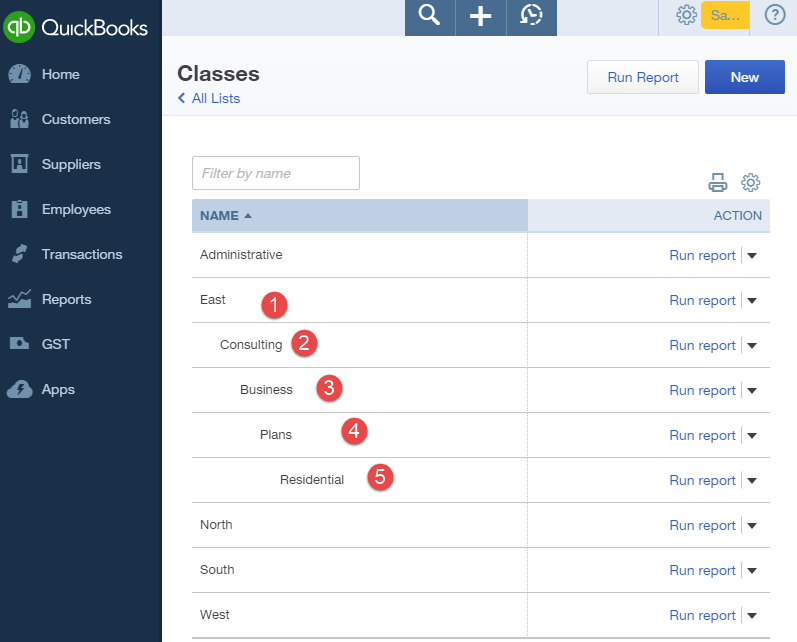 You can track this important information in Locations and Classes in QuickBooks Online Plus. Once these features are turned on and setup correctly you can clearly see which area of the business is thriving, and which isn’t. This can help you make important decisions and create efficiencies across your business. Classes: Men’s wear, Ladies wear, Shoes, Electrical, Furniture. In this example the Locations are different stores. Classes are different departments within the store. Location: Three different business units within the business. Classes: Income services and products provided within each unit. In this example the Locations could be consulting business, installation business and retail sales. Classes could be different services you provide and products that you sell. 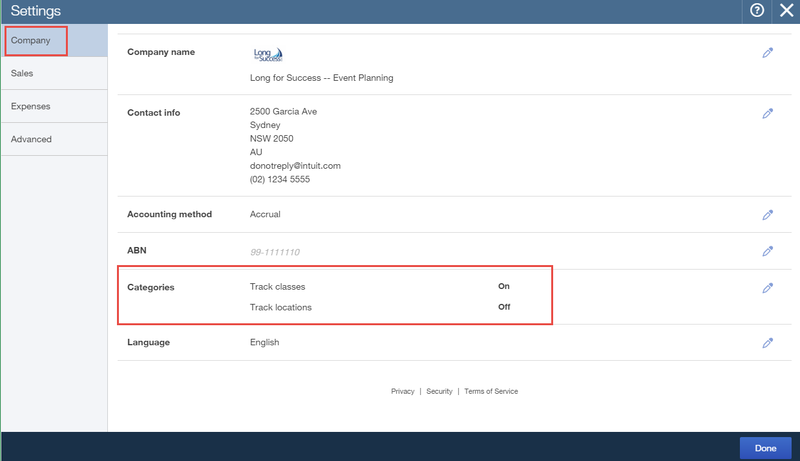 You can start to track Classes and Location if you have the QuickBooks Online Plus version. These features are not available in Simple Start and Essentials. Location Tracking and Class Tracking lets you track your income and expenses. You can use either one of them individually or both of them together. Under Cogs Company Preferences > Company Settings > Company > Categories > Choose to switch on Classes and Locations or only one. Under Cogs Company Preferences > Lists > All Lists. Choose either Classes or Locations, or both. Click Classes > Click New (blue button top right) > Enter in your Class. Classes can be hierarchical allowing you to group each category together. Just add a sub-class under the main class. 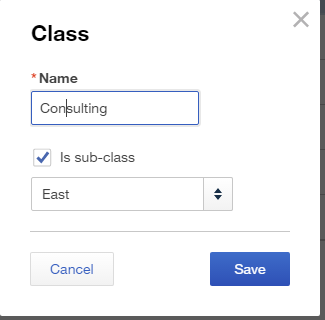 Add the Name Consulting > Click the Is sub-class check box and select the class from the drop down menu. You can only nest sub classes up to five levels deep. For example in the image below East > Consulting > Business Consulting > Plans > Residential. QuickBooks Online Plus allows up to five levels under the one class and an unlimited amount of classes in each. You can make a location or class inactive (delete) at any time if you no longer require the class. You can also reactivate if required. To make a location or class inactive, from the dropdown box next to Run Report click Delete. 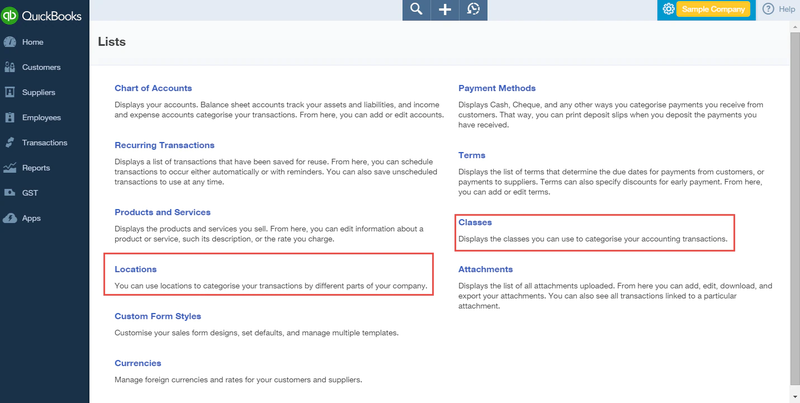 Once all your classes and locations have been switched on, you can add this information when processing transactions. This information is required when entering Quotes, Invoices, Expenses, Write cheques or Bills, for example. This ensures that the information is attributed to the correct location and class, giving you the correct information in financial reports. 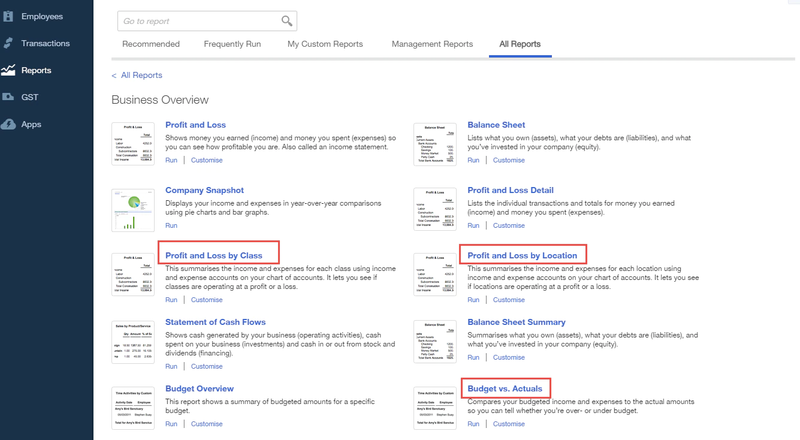 Reports allow you to summarise the income and expenses for each class or location, so you can see which areas in your business are operating in a profit or loss. To access the reports click Reports > All Reports > Business Overview > Profit and Loss by Class or Profit and Loss by Location. 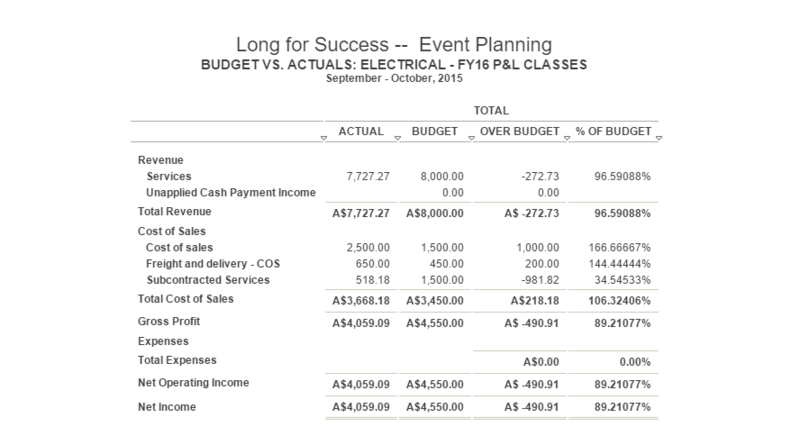 We will also look at Job Costing Reports > All Reports > Business Overview > Budget Vs. Accruals. You can customise your reporting and choose if you wish to see ALL Locations and ALL Classes you have set up or just one in particular. Thefive sub-classes are listed across the top. QuickBooks Online doesn’t have a Job Costing feature but there is a work around. 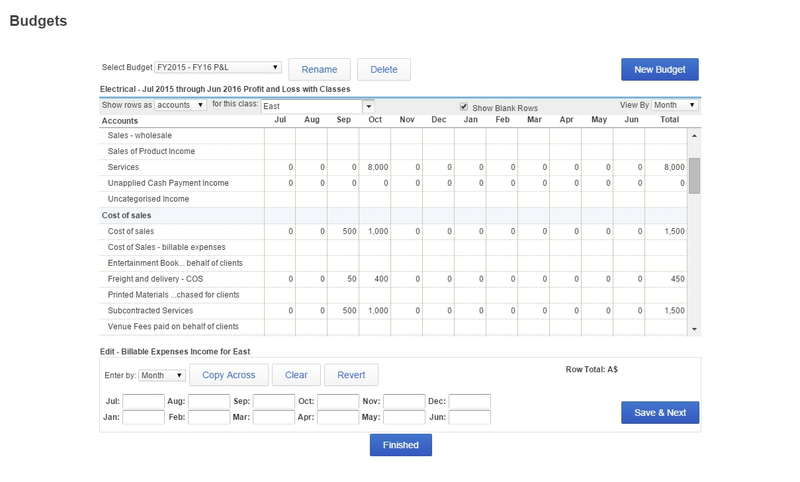 This can be done via the Budgeting feature within QuickBooks Online. Let’s look at an example: see the below image. Set up a Budget name such as “Electrical”. 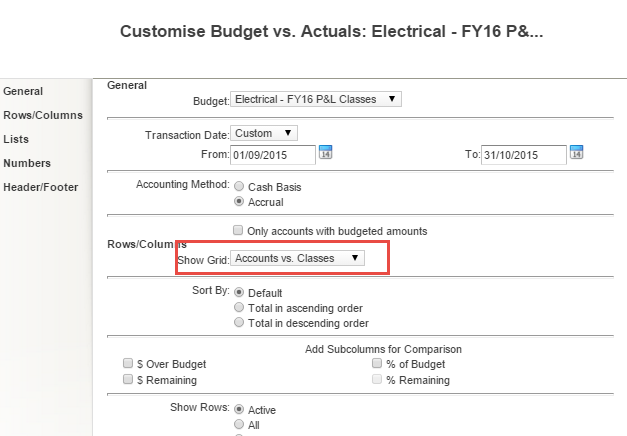 When setting up your budget choose Subdivide by Locations or Classes. In the months of September and October allocated amounts have been entered. These amounts are associated with the Income and Expense accounts that have been costed when quoting a job. 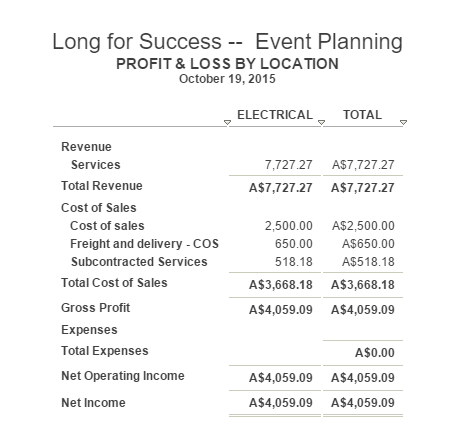 Cost of Sales: Cost of Sales, $500 and $1000; Freight and Delivery, $50 and $400; Subcontracted Services, $500 and $1000. Click Finish. Once this has been finalised you will be able to run reports comparing the actual figures that are entered into QuickBooks Online to the Budgeted figures you have entered. In Reports > All Reports > Business Overview > Budget vs. Actuals. 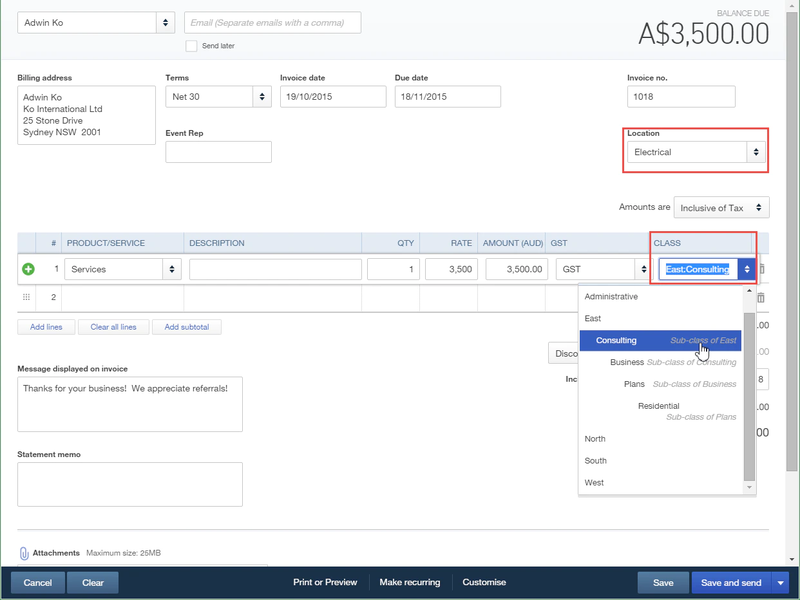 Run your report to see customisations to suit your needs. See the reports below. The Income Services that is budgeted is $8000. The actual received in Services is $7727.27. This is under our budget amount by $272.73. The Cost of Sales Budgeted amount was $1500. The actual was $2500. This area is running $1000 over budget. Freight and delivery budgeted $450 and actual $650. This is over budget by $250. We can clearly see based on the Budgets vs. Actuals report in our classes that the actual costs are over budget. This allows us to make an informed decision to increase our income by reducing our Cost of Sales. Using the Locations and Classes features allows you to capture information to analyse which part of your business is running efficiently and which area needs improving. 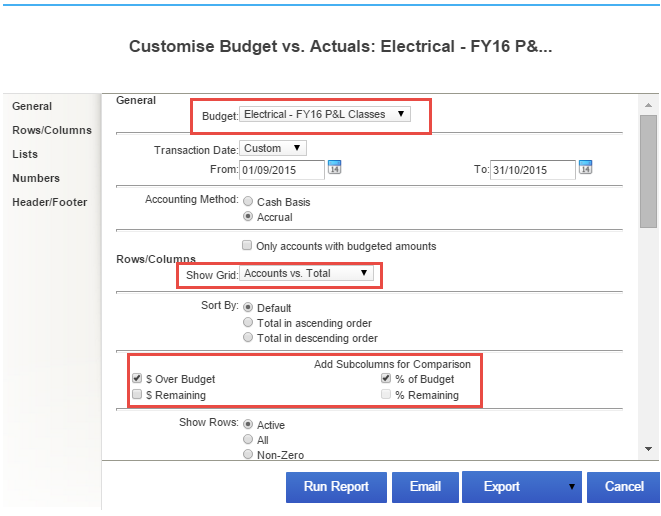 By using the budgeting feature you can review the job costs by either locations or classes. This allows you to view how close you came to your actual job costing.